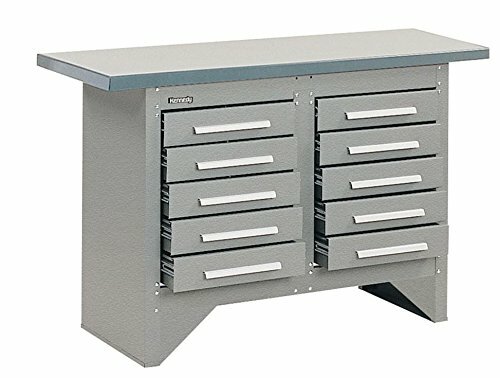 The Kennedy S5410XUGW is an industrial work bench with a steel top. It has a 11,550 cu. In. capacity, 10 drawers with ball bearing slides.